The CS 6-1/2-Inch Component Speakers are an outstanding factory upgrade. 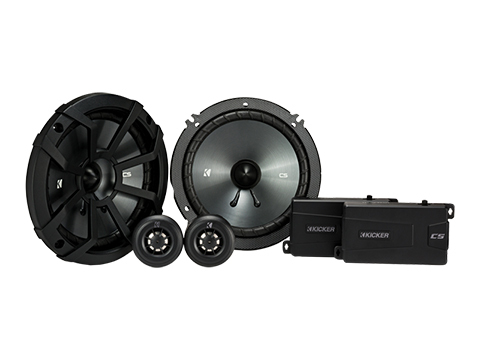 The components include Titanium tweeters and polypropylene woofers with EVC™ (Extended Voice Coil) technology, for a customized sound and the best sonic quality. These CS speakers work best with 100 watts of recommended power. See below for more details.